LGBTI in OECD countries: A review, 2017, OECD Social, Employment and Migration Working Papers n°198. HTML link: here. The challenges of measuring discrimination against LGBTI individuals, April 23, 2018, Timothy Taylor, Conversable Economist. HTML link: here. 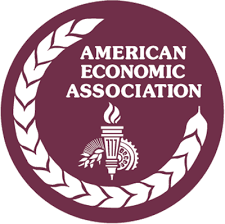 Maynard’s Notes, The Newsletter of the American Economic Association’s LGBTQ and Friends Community, April 2018. HTML link: here.